Codes of Conduct, Consent Forms etc. Welcome to the March / April 2019 ladies tennis update. Thanks to those of you who sent me pictures and updates……and my usual appeal for material (photos, reports etc.) to make the updates as interesting as possible. Please take pictures at club events, league matches etc. and send them to me. Please contact myself or any of my Ladies Tennis Team with any queries or suggestions. The Wednesday Morning tennis has become extremely popular with record numbers attending each week. For new members this is a great way to meet and play tennis with people of your own standard. It is also a very social event and the tea / coffee and biscuits afterwards provide a great opportunity for a chat and catch-up. Thanks again to Valerie Bowens and Emer Soulsby who are doing such a wonderful job running the Wednesday mornings. A big thank you to Máire-Bríd Casey, Marie McGee, Mary Fogarty and Sarah Tiernan for all the hard work you put into running Thursday Night tennis for us all! Thursday Nights have also grown hugely in popularity and we have had to increase the numbers on the sign-on sheet to cope with the demand. Tennis resumes this week after a break for the Spring Championships and will run until Thursday May 9th with Prizegiving on Friday 10th May. This term has 4 more weeks to run and to qualify for a prize, 6 weeks must be played. If you are short a night, you can buy an extra one to qualify. The Spring Championships ran from 1st to 13th April. Despite some pretty awful weather in the first week it was a very successful tournament. 250 people took part in the competition, a massive increase on just over 200 in previous years. A big thank you to all of you who helped on on the desk during the tournament and on Finals Day. 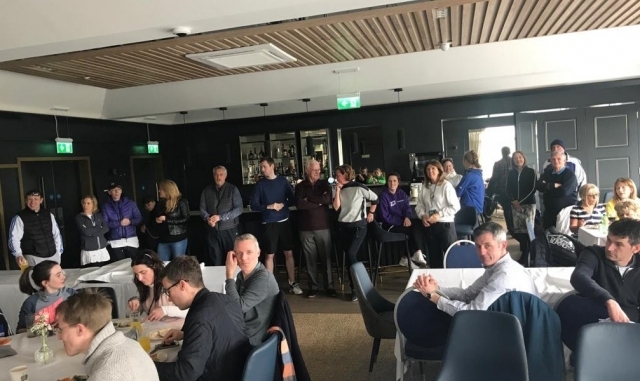 Finals Day was a bright, sunny day and it was great to see families enjoying the tennis and refreshments in our fabulous new clubhouse. Congratulations to all of those who reached the finals and especially to the winners on the day. Click here for results of finals day matches and all tournament details. More photos of the Finals Day Prizegiving are available here . 6 of the 9 teams qualified for the play-off stages. The other teams finished well too with 2 teams in 3rd place and one in 4th place in their groups. 2 teams reached the quarter finals. Thanks to all of you who represented the club on league teams and a special thanks to the league captains. Details of our teams are available here and fixtures, results and tables here. Tennis Ireland are running a league for players who do not play in the DLTC leagues. Click here for league schedule, results and table. Best of luck with your matches ladies! The Spring 2019 Ladies Friendly League is up and running. Matches are played on Monday mornings between teams from Celbridge, Leixlip, Clane, Ratoath & Castleknock. 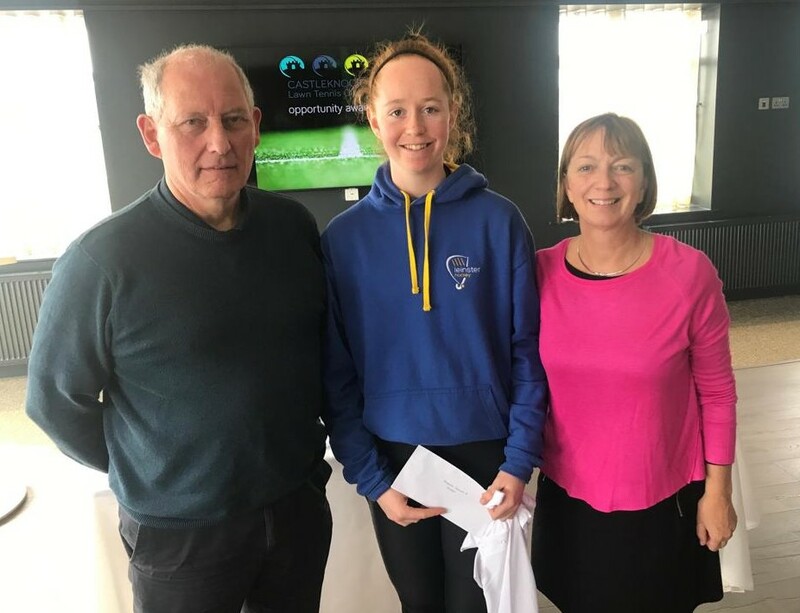 Prizegiving and fun tennis in Castleknock on 27th May. We have started well winning all 3 matches in the first match, so let’s hope we are among the prizes om the 27th! Summer League starts for ladies on Monday 13th May. The league stage runs for 5 weeks with matches on Monday, Tuesday or Wednesday evenings. This is followed by playoffs, quarter finals, semi finals, and finals on Saturday 29th June. We have entered 9 teams this year (an increase of 2 from last year). Thanks to all of those who registered to play and sub in the league. Provisional teams have now been selected and line-ups will be confirmed following coaching and practice sessions over the coming weeks. Details of teams, schedule etc. will be available here as they become available. Friday night mixed ran from Friday 22 February for 6 weeks. It was very popular and we quickly had to increase the number of courts to allow more people play. In total 77 people played over the 6 weeks. 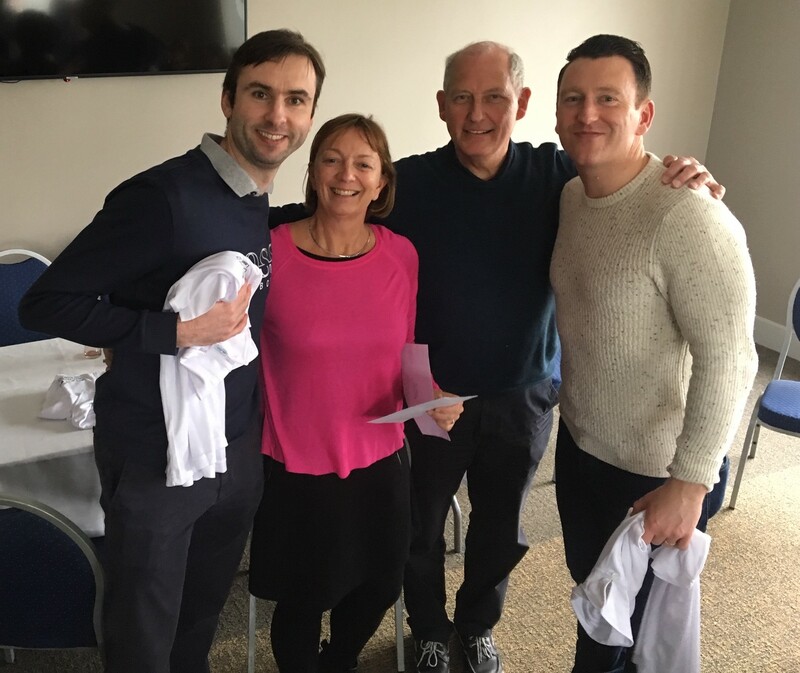 A big thank you to Siobhán an Billy King who did such a wonderful job running the Friday nights and to Miriam and Brian Rogers who subbed in on the one night the Kings weren’t available.